XIN Gaming is an online slots developer that is always on trend when it comes to developing new and exciting games. In June, the company’s Euro 2016 was a huge hit among football fans and now Rio Fever aims to attract players who are tuning in to the Summer Olympics. “Our players just loved the game we did for Euro 2016 so we are now giving them more of what they want with Rio Fever,” says Mathias Larsson, CEO of XIN Gaming. “We are one of the few developers with the resources and expertise to be able to release games that link to special events on the calendar. Rio Fever is a 50-payline online slot that offers up fantastic winning potential. The game features high-quality graphics that depict various athletes, boxing, running, doing gymnastics and participating in a whole range of other Olympic sports. There is a generous re-spins feature in Rio Fever from XIN Gaming. When the Torchbearer symbol lands on reel 1, then the player receives 3 re-spins. The first reel is held while the remaining symbols spin; if any more Torchbearer or Wilds land on the reels, then the will also be held in place for the remaining spins. 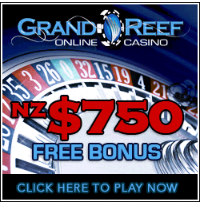 Players can also earn up to 12 free spins when three scatter symbols land on the reels. During this bonus round, the re-spins feature can be activated, offering players even more generous winning potential. Play the new Rio Fever online slot at your favourite XIN Gaming-powered online casino today! It is available on both desktop and mobile platforms, so you can play from virtually anywhere!